It seems it’s insult comic day on ComedyBlogger. 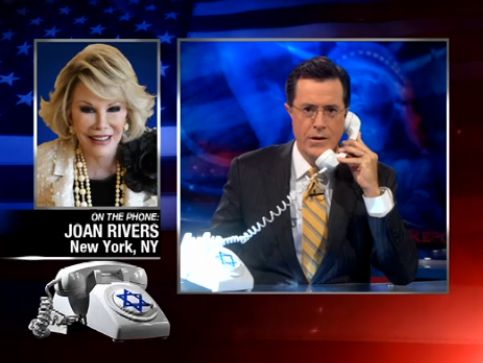 Last night Stephen Colbert set up his atonement phone. 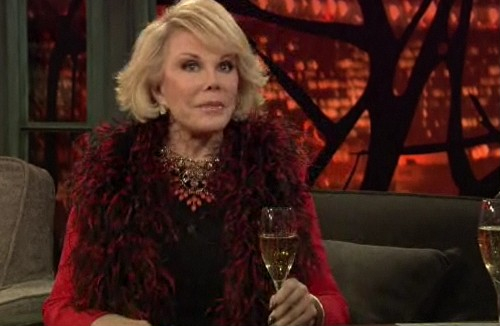 Joan Rivers called in to “apologize” but instead let go a few zingers at Stephen’s expense.